Kim Tackaberry graduated with a Bachelor of Education from the University of Ottawa in 1991 and earned additional qualifications with a Specialist in Special Education dissertation. She has taught Grades One through Twelve for twenty years in the area of learning disabilities primarily at Foothills Academy, a centre for children with learning challenges. Several years ago, Kim recognized the need for girls to have a forum in which to speak openly about a variety of topics and concerns relevant to teenagers. The GLOW program was therefore created. For five years Kim volunteered with the Artemis Group of Calgary to raise funds for charities that support women and children. She was nominated in 2008 for the Calgary Inc. ‘Top 40 under 40’ award for her devotion to improve literacy and for her vision of empowering girls to become the best they can be. Paula LaRose graduated from University of Victoria in 1994 with BA in Psychology followed by a B. Ed at the University of Calgary. She has worked several years with at-risk youth, children and adults with special needs and has taught children with learning disabilities at Foothills Academy. As a past Fitness Force guest for GLOW, Paula has shared her College basketball expertise along with her passion for other sports such as volleyball and track and field. Paula's most recent accomplishment was completing four Sprint triathlons. Cheryl Sawatzky graduated from the University of Alberta in 1995 with a Bachelor of Arts in Psychology. Since that time she has taken classes in social work and counselling. 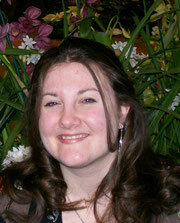 She has several years experience counselling youth and their families and working with high-risk teens. Cheryl has also taught parenting and life skills classes, anger management, and a girls empowerment program. Giving back to the community is important to Cheryl and she has volunteered her time to a number of organizations. In her spare time, she enjoys working out and reading. Rachelle Bélanger has just completed an Honours Bachelor of Health Sciences at the University of Ottawa and will be pursuing a Bachelor of Education in the fall. Rachelle has had many years of experience working with children and youth, including previous GLOW sessions, working at the Ottawa Athletic Club's Playcare, as well as, volunteering at CHEO and Roger's House. 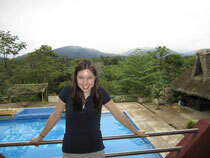 She also enjoys travel and has recently participated in a Mobile Clinic volunteer trip to Ecuador. Rachelle has a passion for health and teaching, and enjoys cooking, crafting and running in her spare time. Rachel is currently completing her Masters of Science in Geography at the University of Calgary. She received her B.Sc. 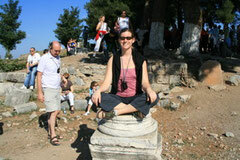 from U of C in 2005 and enjoyed the study of the earth so much that she went back in 2006 for more. Rachel completed the first module of Ashtanga Yoga teacher training at The Yoga Shala in Calgary and is a dedicated yoga practitioner, practicing 6 days a week. 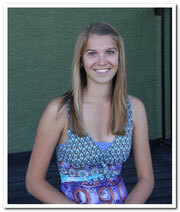 She also plays Ultimate Frisbee and enjoys running along the river in Calgary. She loves to travel and explore the world and has explored such places as Western Europe, Fiji, Hawaii, and many places in the US and Canada. 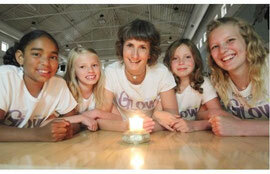 She has worked with young girls for many years with the Girl Guides of Canada. 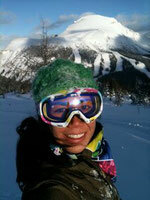 Elicia Miller graduated with a Bachelor of Arts degree, majoring in Psychology, from the University of Calgary in 2008. During the completion of her undergraduate degree, Elicia was employed as a Social Skills counsellor with the Learning Disabilities Association, Calgary Chapter, and worked with children with learning disabilities and ADHD. She completed her Masters of Science Degree in Clinical Psychology from the University of Calgary in 2010. Elicia is currently employed as a psychology intern at the Foothills Academy and is engaged conducting and writing educational assessment reports for children and adults. Elicia also volunteers with the Canadian Mental Health Association as a Mental Health, Suicide and Stress presenter in High Schools throughout Calgary. Ashley Barber graduated from the University of Calgary in 2005 with a BSc. in Psychology. 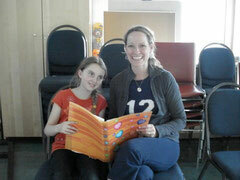 For five years, Ashley worked with learning disabled children as a teaching assistant at Foothills Academy. 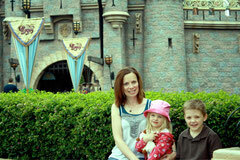 She is currently earning her Masters of Teaching from the University of Calgary. Ashley continues to volunteer at Foothills Academy, enjoys kickboxing twice a week, and loves to read and paint in her spare time. Ashley also enjoys travelling and has been to Hawaii, Jamaica, various parts of Canada and the United States, as well as Western Europe. 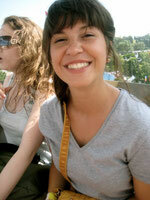 Alicia Woloschuk graduated with a Bachelor of Arts degree, majoring in Psychology, from Athabasca University in 2007. Afterwards, she completed her Masters of Education degree in School and Applied Child Psychology from the University of Calgary in 2011. During graduate school, Alicia had the opportunity to work with a multidisciplinary team of professionals, as well as with many children and adolescents. Currently, Alicia is employed as a Provisional Psychologist at Foothills Academy and is engaged in conducting and writing psychoeducational assessment reports for individuals of all ages. Deanna Fidler graduated from Brock University in 2009 with a Bachelor of Kinesiology, where she completed her honours and did her thesis on Autism. She is now finishing her final semester in Education at the University of Calgary. During her education Deanna completed her 5-years of eligibility as a varsity soccer player. During this time she had the opportunity to go to British Columbia with Brock University and become a national finalist and was awarded athlete of the week at her university. 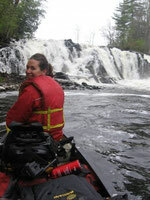 Deanna has a strong passion for physical activity and adventure. In 2010 she continued her travels out west to explore the mountains and continue her education after working in Spain to teach English as a second language. In addition, she has worked with children with special needs and youth at-risk in volunteer programs through Brock University, taught English as a Second Language to children from all around the world in Calgary, and led a summer soccer camp for children aged 4-17. In her spare time, Deanna paints, reads and stays active through various activities such as soccer, basketball, snowboarding, running and yoga. 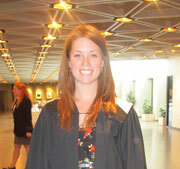 Leanne Kelly graduated from Carleton University with a B.A. in Sociology and then moved north to Thunder Bay where she completed her B. Ed from Lakehead University. Since then, she has completed an additional qualification in Special Education and is working towards her Specialist in Special Education. She has worked for several years as a youth counsellor with grade 7 and 8 at-risk youth and students with special needs. She is currently an occasional teacher with the Ottawa-Carleton District School Board and one day hopes to become a guidance counsellor. In her spare time, Leanne enjoys canoeing, playing dodgeball and competitive football. Kelsey Brown graduated from Queen’s University with her Bachelor of Education this past April where she completed a program focus in Teaching Exceptional Children and Adolescents. This involved a practicum block working in a Learning Strategies classroom and an Autism program, and inspired her to complete her Special Education Part 1. Kelsey has played ringette for several years, participated at Nationals on behalf of Team Ontario, and enjoys coaching local teams. She is currently an occasional teacher with the Ottawa Carleton District School Board and makes an effort to incorporate physical activity into her classroom as often as possible. Kelsey has experience working with students with learning disabilities, ESL and ELL students, and at-risk students. Stephanie Borrens graduated from the University of Waterloo in 1992 with a Bachelor of Science in Kinesiology and later from the University of Ottawa received a Masters in Education in 2006. Stephanie has been teaching for 15 years and is currently teaching grade 5/6 with the Ottawa Carleton District School Board. Stephanie had taught spinning at the Ottawa Athletic Club for six years and looks forward to sharing her passion for healthy living and leading young girls to take on new challenges. A little about myself, I am currently completing my fourth and final year at the University of Victoria; I will be graduating with a bachelors of Child and Youth Care as of August! Born and raised here in Calgary I moved to Victoria, BC for schooling four years ago. I am now moving back to my lovely hometown permanently and am very excited about this change. I enjoy all kinds physical activity (especially the kind that involves outdoors), Hot yoga, Softball, baking, reading and being creative (even though I’m no artist). I am very excited to be a new addition to the Glow team and cannot wait to see you soon! Aisha Ward has been a teacher for the past seven years, completing her first teacher training in English Language Arts in Secondary education in the UK, and most recently her B Ed in Elementary education here in Alberta at Ambrose University College. She has an extensive performing arts background specializing in the areas of dance and drama, and she is also a fully certified yoga instructor. Aisha is passionate about working with young people and is very excited to join the Glow team. all girls should be exposed to as it teaches self-confidence; something that most of us need to optimize. The program impacts the lives of so many girls and it is an honor to be part of it. person that iIam today. My goal is to be able to have someone say that about me. Mary Ann earned her Bachelor of Chemical Engineering from McGill 1993 and Master of Science in Chemical Engineering from U of C, 1999. Her athletic accomplishments include climbing Mount Kilimanjaro in 1996 (highest peak on African continent). 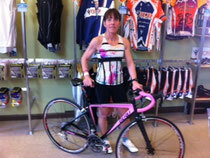 In addition she races in Ironman Canada 2002 in Penticton (4km swim, 180km bike, 42km run). Mary Ann's true passion is Ultimate Frisbee where she has played in two World Ultimate Club Championships (Hawaii 2002 & Perth 2006). Her awards include 3 Bronze medals from Canadian Ultimate Championship - Women's Division (2006, 2007, 2008). She has been playing ultimate frisbee since 1998. Jennifer has been teaching yoga since 2005. She was certified through Sivananda Yoga Centre International in India. Her specialized training and experience includes children's yoga, Anusara Yoga alignment principles as well as pre/post natal. Jennifer’s experiences include teaching all age groups and abilities with a yoga technique focused on mindfulness, breathing and relaxation. Jennifer incorporates her training and experience as a mental health therapist and triathlete/runner into all of her classes. Each of us faces a point in our lives where we don't realize or appreciate something until it's gone, and my journey with yoga has been no different. Yoga was first introduced to me in 2001, although shortly thereafter, I chose to take a different path in the martial arts. About 5 years ago, I felt pulled back to yoga and I understand now that everything happens in life at the right time, and that I was at a place where I could finally begin to embrace and open up to this wonderful life.....this union of witnessing & nature that is yoga. 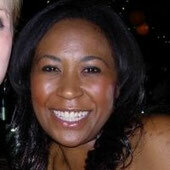 Laurie Hutchinson is a personal trainer, Pilates instructor and lifestyle coach. My name is Rebecca Toffolo and I’m 17 years old. 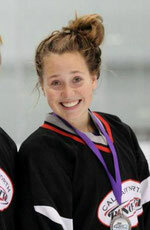 I’ve played Ringette for 11 years, playing for Calgary and for Team Alberta. My biggest success throughout the years that I’ve played was when my team won the Western Canadian Championship in 2009. I’ve also played Rugby for 3 years, for my school team as well as for Calgary in the Alberta Summer Games. Playing sports at a competitive level has taught me to become highly organized and good with time management. Even though I am extremely busy I still am able to do well with my academics due to these skills. I encourage younger girls to join team sports as they help teach you life skills, are a lot of fun, help to build confidence and boost self-esteem, and allow you to make lifelong friendships.